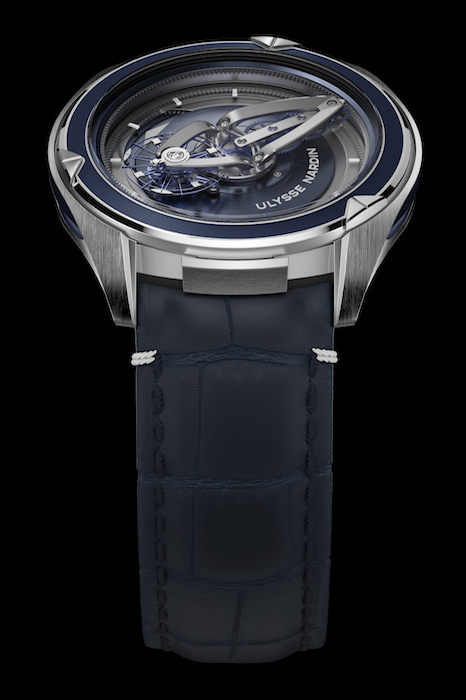 Watch enthusiasts may recall that Ulysse Nardin launched the Innovision II in 2017. As its name suggests, that watch was a high-concept release for the brand — evoking a Jetsons-esque vision of a streamlined pneumatic future. 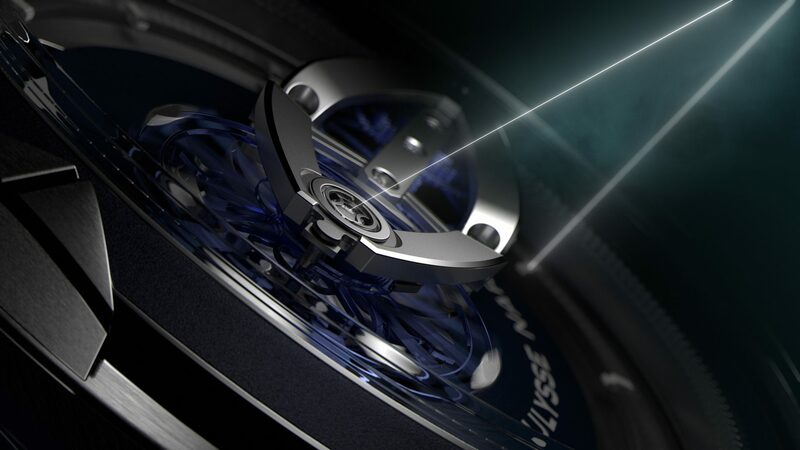 Appropriately, it also harnessed together 10 different technological innovations: including an anchor escapement and a movement which essentially doubled as an entire tourbillon. Although the Innovision II was never developed to be commercial viable, Ulysse Nardin are offering concept watch lovers the next best thing with their SIHH 2018 flagship — the (memorably) named Freak Vision. Widely available, the Freak Vision takes much of the Innovision II’s technology and packages it for a general audience. So, what does that entail exactly? The new Freak Vision features an innovative “Grinder” movement capable of both manual and self-winding. For a start, Nardin’s trademark “Grinder” movement — which first debuted in 2001 — has made the transition to this new release. Notwithstanding an extremely high power efficiency (i.e. 50 hours), this innovative system — composed of ball bearings and a two stage satellite reduction gear — is actually capable of both automatic and manual winding. (A bezel integrated on the Freak Vision’s caseback functions as the watch’s winding crown.) Then there’s the futuristic material provenance of the timepiece: while a silicon balance wheel is nothing new, the version used in Nardin’s Grinder movement has been bonded with solid nickel elements — a departure from the gold alloys historically used in traditional mechanical watchmaking. The resultant weight reduction increases the efficiency of the Grinder and is, in no small part, the reason for this experimental movement’s large power reserve. Better still, Nardin have engineered the balance wheel’s blades with silicon, so as to take advantage of improved air resistance, boosting the watch’s accuracy in the process. The theme of futuristic manufacture is again apparent in the Freak Vision’s anchor escapement — a constant force mechanism that was originally developed by Nardin in 2014. Fashioned exclusively from silicon, this escapement uses a circular frame and suspended pallet fork to achieve frictionless movement. The Freak Vision’s baguette style movement also doubles up as a rather novel minutes hand. In profile, the Freak Vision has more than a little in common with its concept watch forebear. The baguette style movement still prominently doubles up as a minutes hand, rotating around its own axis once every hour; and gives the impression of a spaceship mid-flight. Very subtle differences abound however, including this model’s use of box-domed style sapphire crystal and 45mm platinum case. At time of writing, it remains unclear whether Nardin plan to offer the Freak Vision as a non-limited release. The Freak Vision is priced at CHF$95,000 (approximately HK$754,000). 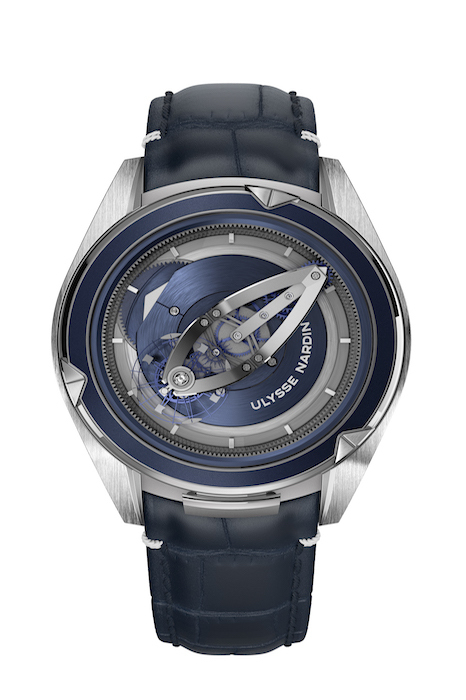 For more information about availability, please visit Ulysse Nardin.